A Chinese restaurant in the Kenyan capital does not admit Africans after 5pm, insisting they pose a security threat to its clients. The staff cites criminal situations and the activities of terrorist group Al Shabaab. 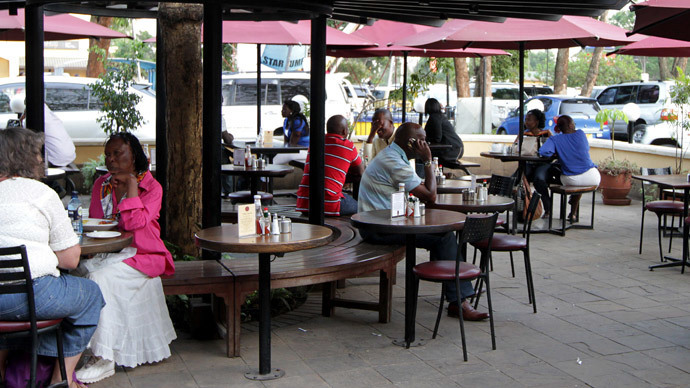 An eatery in Nairobi named the “Chinese Restaurant” has taken the decision after an armed robbery last year and recent warnings from the Chinese embassy over Al Shabaab’s increased threat, local media report. Zhao says the guests of the restaurant feel safer and more comfortable if African customers are kept away. Only taxi drivers and Africans accompanied by European, Chinese or Indian guests can be admitted. “It is strictly a no-African policy and we have even had to turn away some prominent Kenyans who were obviously not a security threat,” a restaurant worker told the journalists on conditions of anonymity. According to the Nairobi News, those locked out included the former Cabinet Secretary for the Interior Joseph ole Lenku, and former education secretary and presidential candidate Joseph ole Kiyiapi. However, some Africans considered “loyal” can still come in. You have to spend 20,000 Kenyan shilling (about $217) in a certain time period to qualify. The only people allowed in any time are Nairobi Senator Mike Sonko and former Cabinet Minister Raphael Tuju, who are reportedly the owner’s friends. The move caused an outrage in the media and among local politicians. The ombudsman called the people who were not admitted to sue for discrimination and contact the National Commission on Human Rights so that the authorities could revoke the restaurant’s license. Al-Shabaab, translated as the “The Youth,” is an Al-Qaeda-linked extremist group designated as a foreign terrorist organization by the US. Its basic goal is to create a caliphate in Somalia. Al-Shabaab’s terrorist activities most notably included coordinated suicide bombings in Uganda’s capital in 2010 and a deadly raid on a Nairobi mall in 2013.